The first couple album reviews of 2019 will be albums I didn’t get around to reviewing in 2018. The first is the newest album from sibling group, Johnson Edition; Testimony. 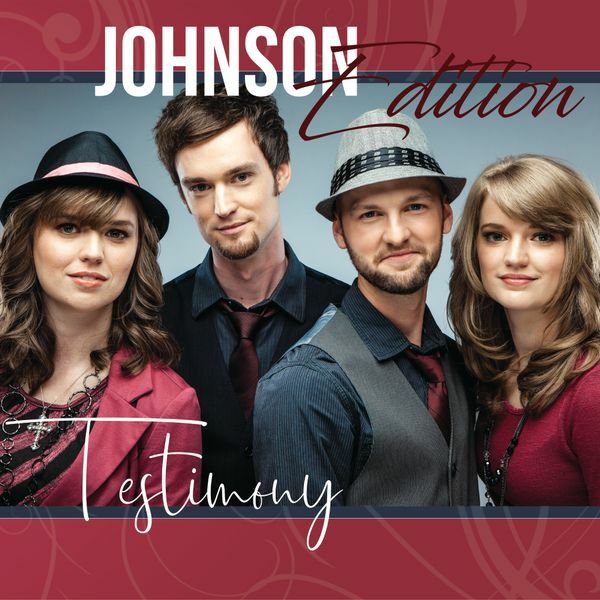 Testimony is the third album from Johnson Edition. The album was produced by Danny Crawford and Jonathan Martin. The young siblings provide listeners a progressive Southern Gospel sound with modern country layers. Johnson Edition is composed of Jathyn (lead/baritone vocalist), Westyn (tenor/lead vocalist), Breayn (alto vocalist) and Destiny (soprano vocalist). One strength of Testimony is the song selection. Johnson Edition chose songs from some of the industry’s biggest writers. The folk style instrumentation at the beginning of “Never Been A Moment” sets the song apart from every other song on the recording. Wish there would have been more variation in the arrangements found on Testimony. Jathyn is featured on a song that would be a wise choice for Southern Gospel radio, “Love You Through The Scars”. The Kenna West/Nathan Woodard co-write is a must listen! The album’s first single is the up beat, country flavored “You Made My Day”. Each member of the group is featured on a segment of the song. Jathyn also takes the lead on another progressive Southern Gospel ballad that deserves a listen, “My Life A Testimony”. I enjoyed the group closing with the classic song of invitation, “I Surrender All”. Strongest songs included in order: “Love You Through The Scars”, “Never Been A Moment”, “My Life A Testimony”, “You Made My Day” and “Love Always Finds A Way”. The progressive Southern Gospel sound that dominates the recording bleeds together with similar arrangements and ultimately similar sounding songs. Weakest songs included in order: “We Believe” and “Center Of Me”. This is not my first introduction to the music of Johnson Edition. Testimony builds on what the group has provided listeners in the past. The final album review of 2018 is the latest album from the Griffith Family; Relentless. This is the first album released with New Day Records, a division of Daywind. The album is filled with progressive Southern Gospel sounds and some really great ‘hard-driving’ country sounds. The Griffith Family is composed of Tony Griffith (lead/baritone), Julie Griffith (lead/soprano) and Jamie Streetman (tenor). Tony’s country vocal is the immediate standout upon listening to Relentless. The group has a sound reminiscent to that of the Bowling Family. The standout song is the country flavored ballad featuring Tony, titled “It Took The Cross”. A great Rebecca J Peck song. The ‘hard-driving’ country cover of the Ronny Hinson, “It Ain’t Over” is a must listen. The Mike Bowling Group originally recorded the song over a decade ago. Newest member of the group, Jamie Streetman has a potential radio single choice with “I’ve Seen Enough”. Speaking of singles, the first from Relentless is the progressive Southern Gospel mid-tempo, “Now I Can Sing”. The song features Julie Griffith. Tony has two more features that deserve a listen, both “Fill Me Lord” and “That’s Why We Call Him Redeemer” could be potential future hits. Strongest songs included in order: “It Took The Cross”, “I’ve Seen Enough”, “Fill Me Lord”, “That’s Why We Call Him Redeemer”, “Now I Can Sing”, “It Ain’t Over” and “All About Jesus”. The album tends to get bogged down at the end with four slow to mid-tempo songs. A thirteen song recording is a bit ambitious. Weakest songs included in order: “Long Time Coming” and “Audience Of One”. This is not my first introduction to the music of the Griffith Family. Relentless is the best recording this family trio has put out, to date. 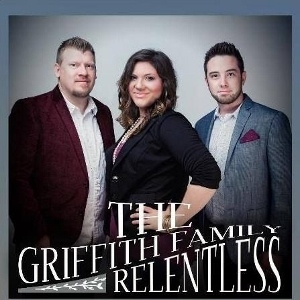 If you enjoy progressive Southern Gospel music, then you will want to give Relentless a listen. Today we take a look at the first solo album from Riley Harrison Clark, Welcome To Me. As most listeners already know, Riley is the current tenor vocalist for Tribute Quartet. Riley has climbed the ranks to now be counted among the best tenor voices touring right now in Southern Gospel music. Welcome To Me is a collection of nine new songs, mostly done in a progressive Southern Gospel style. Welcome To Me is all about the title track. “Welcome To Me” is one of the most personal songs I’ve heard in 2018. It is a song every listener can relate. One of the best recorded songs of the year! Riley has a nice up-tempo progressive Southern Gospel song that could find a home at radio, “Running Down My Fear”. A song that he co-wrote with Lee Black. Riley also shows off some pop vibes with the mid-tempo, “You Will Be Found”. The album starts strong with the progressive mid-tempo, “Glory To Glory”. Another song from the album that could ultimately land at radio. Can’t leave the review without mentioning another must listen, “Then He Opened His Arms”. Strongest songs included in order: “Welcome To Me”, “Running Down My Fear”, “You Will Be Found”, “Then He Opened His Arms”, “Glory To Glory” and “I Surrender”. Just like a recent review of Taranda’s latest recording, the pop sounds brought down the overall appeal of the album and ultimately the final rating I gave the recording. Weakest songs included in order: “One With You” and “Still”. Riley Harrison Clark is already recognized as one of Southern Gospel music’s greatest tenor vocalists. It is no surprise that he would record a solo album. There is enough to like about Welcome To Me to give it a listen. Day two of our final week of 2018 album reviews takes a look at the latest album from the Shireys; All The Way. 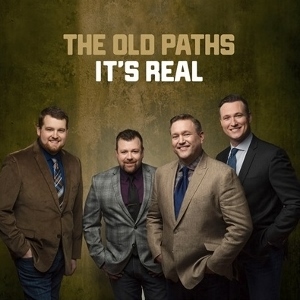 It was a result of a single song performance on the 2018 National Quartet Convention broadcast that caused me to give this group a listen. All The Way is my introduction to the music of the Shireys. 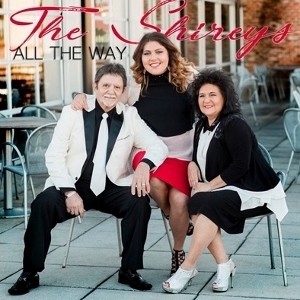 The Shireys is a family trio out of South Carolina composed of daughter Rachael Flowers (lead/soprano), father Wayne Shirey (baritone) and mother Darlene Shirey (alto). The Shireys sing traditional Southern Gospel music with Appalachian sounds; think McKameys or Singing Cookes. That song I heard on the 2018 NQC broadcast that caused me to listen to this recording; “Because Of The Blood”. This was the stand out song on All The Way and also happens to be the group’s current radio single. There was a block of songs in the middle of the recording that deserve a listen. 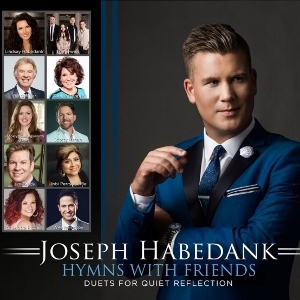 The Joseph Habedank/Dianne Wilkinson co-write, “Journey To His Throne” would be a strong choice for radio single possibilities. A great up-tempo, convention style song. Rachael then follows that up with the country flavored ballad, “Why Should I Worry”. This style is the Shireys at their best. That Appalachian style is evident with Darlene’s country alto vocal. She turns in a nice cover of the Felecia Shiflett classic, “Empty Vessel” which was a top ten song for the Kingsmen in 1984/1985. Father, Wayne Shirey has a stand out song with “Miracle Waiting To Happen”. Another country-style song. While the first half of All The Way is stronger than the second half, there is a progressive Southern Gospel song near the end of the recording, “Awake”, that deserves a listen. 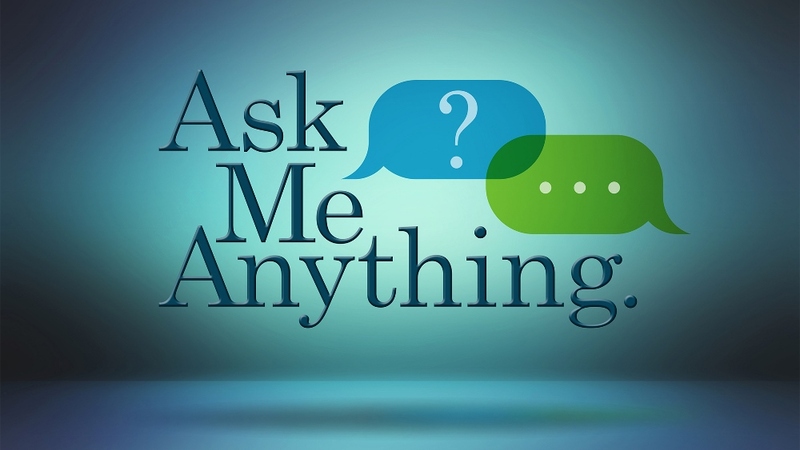 Strongest songs included in order: “Because Of The Blood”, “Journey To His Throne”, “Why Should I Worry”, “Miracle Waiting To Happen”, “Awake”, “Empty Vessel” and “Watching And Waiting”. I think All The Way would have been a stronger listen if the album was reduced to the 9 best songs. I would have taken the first 8 songs on the album, added “Awake” and cut the rest. Weakest songs included in order: “I Met The Master”, “Love Goes A Mighty Long Way” and “I Must Be Getting Closer”. I was pleasantly surprised with my introduction to the music of the Shireys. While the group attempted to do too much with the number of songs on All The Way, there is a strong handful of songs that deserve your attention. Today, starts an entire week of the final album reviews of 2018. 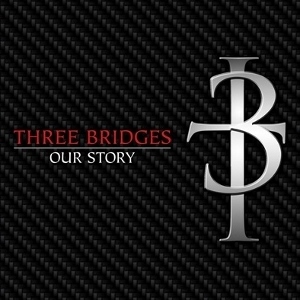 To kick it off is the latest album from Three Bridges; Our Story. Three Bridges returns to Sonlite Records (Crossroads) for the release of Our Story. 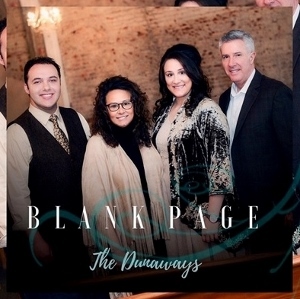 The album continues the trio’s progressive, almost blues style Southern Gospel music. Three Bridges is composed of Jeremie Hudson (tenor), Shannon Smith (lead) and founding member Elliott McCoy (baritone). Three Bridges is not afraid of mid to up-tempo songs. It really makes for a good listen when 8 of the 11 songs are in this range. The highlight of Our Story is the Brandon Todd Wright penned, “Nothing But”. Shannon Smith adds some blues vocals to make for a strong radio single contender. The one slower tempo number that deserves a listen is “My Story”. The vocals are accompanied by some orchestration, not the other way around; which was a huge issue with a prior album review. The album kicks off with two rollicking songs that sets up the mood for the rest of the album. Give both “Count It Victory” and “Down The Road To Damascus” some attention. Tenor, Jeremie Hudson gets one feature with “Faith Shines Brighter”. Wish we would’ve gotten more from Jeremie. The album’s first single, “Good News Never Gets Old”, was a good choice. Another fun, up-tempo song that will have you singing along. Don’t want to leave the review without mentioning another strong ballad, “Live The Gospel”. Kudos to Tre’ Corley on producing an enjoyable listen. Strongest songs included in order: “Nothing But”, “My Story”, “Count It Victory”, “Live The Gospel”, “Faith Shines Brighter”, “Down The Road To Damascus” and “Gonna Keep Livin”. “Like Jesus Did” fell into the trap of the orchestration overpowering the vocals. The horns were too much. Wish tenor, Jeremie Hudson would’ve been featured a bit more. Weakest songs included in order: “Like Jesus Did” and “God Did It”. Our Story is an enjoyable listen. I liked how the group decided to record a majority of mid to up-tempo songs. You’ll definitely have several songs to add to your musical playlists.